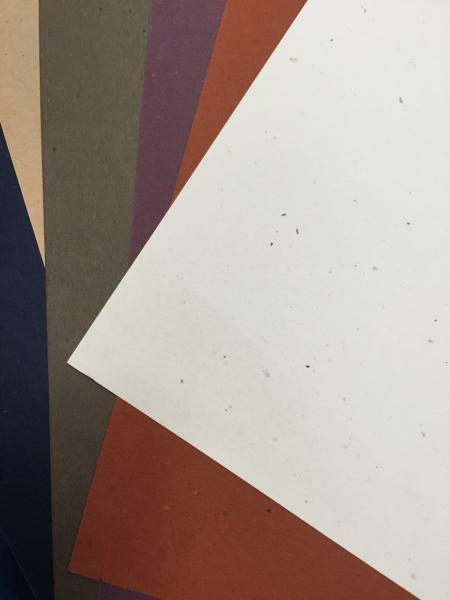 I bought a rheem of legal sized, light grey, rainbow speckled paper at a garage sale a few years ago. The paper is smooth like printer paper. The paper was just in a stack and did not have the wrapper on it. I LOVE this paper and am about out. Do any of you know where to buy anything like it? The attached photo is a little dark (since the background of the paper is a very light grey), but gives a good example of what I’m looking for- smooth paper with embedded rainbow flecks (not just any flecks, but colorful flecks). if you google them other manufactures will come up under “related searches” when discussing your request, i think if you refer to the style as “confetti” it may speed up the search for you. I think it’s Wausau Stardust, now part of Neenah under the Astrobrights brand. Ream, of paper. Try also French Speckletone but I do not see a grey. It may not be the exact match.